Tom Brady still hasn't told the New England Patriots if he plans to play in 2018, according to an ESPN report. ESPN's Adam Schefter said league sources tell him Brady "still has not committed to playing in 2018." However, he said people close to the star quarterback still believe he will play. "I think he's going to play," Schefter said during an appearance on WEEI's "Kirk & Callahan" show on Tuesday morning. "But I cannot tell you I know he's going to play." Two of Brady's teammates told NBC Sports Boston's Mike Giardi that they've spoken to him this offseason and he's never indicated he wasn't planning to play. And a source told Pro Football Talk that Brady has already made arrangements to work out with several teammates before the start of training camp. Jeff Howe of The Athletic reported on Wednesday that Brady, Rob Gronkowski, Julian Edelman and possibly even more teammates have made plans to work out together in July in Montana. 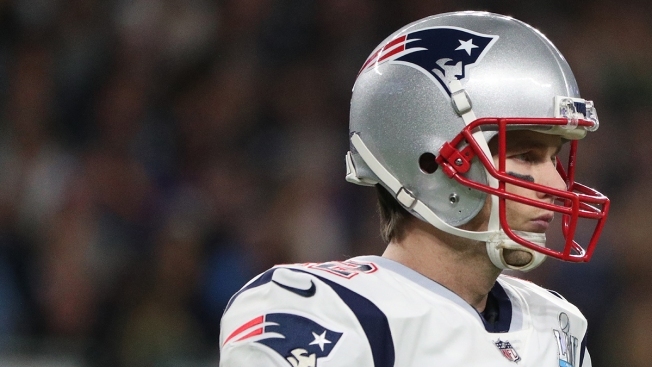 Ian Rapoport and Mike Garafolo of NFL Network reported on Wednesday that it may be a new contract which Brady is seeking prior to the new season. Per his current contract, Brady is slated to earn $14 million in base salary in each of the next two seasons. He can be an unrestricted free agent following the 2019 season, by which time he'll be 42 years old. Brady was not in attendance for the start of the team's offseason program this week. He had been in Quatar on a business trip, but posted a photo on Instagram Tuesday saying he was back home. Gronkowski, who has discussed the possibility of retiring, has also been notably absent from this week's workouts. Throughout last season, numerous stories surfaced about tension between Brady and head coach Bill Belichick, mostly stemming from Belichick's decision to ban Brady's trainer and business partner, Alex Guerrero, from the sidelines during games. Could the Patriots Be Interested in Signing Johnny Manziel? If Brady were to retire, it would be a huge blow to the Patriots - especially after they traded backup quarterback and heir apparent Jimmy Garoppolo to the San Francisco 49ers last year. Right now, the only quarterback on the roster is journeyman Brian Hoyer, who is 16-21 as a starter in nine NFL seasons. He went 0-6 with the 49ers last season prior to being released after the team acquired Garoppolo. 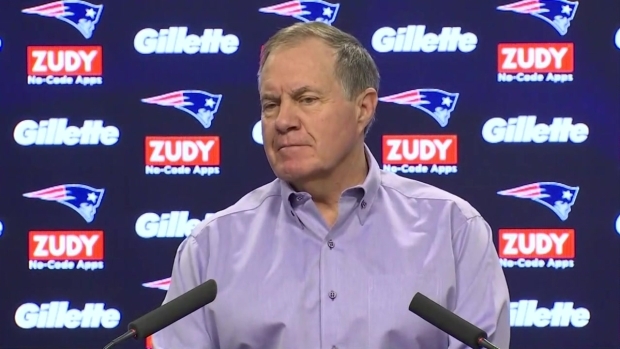 Patriots head coach Bill Belichick discusses the team's preparation for the upcoming NFL Draft.